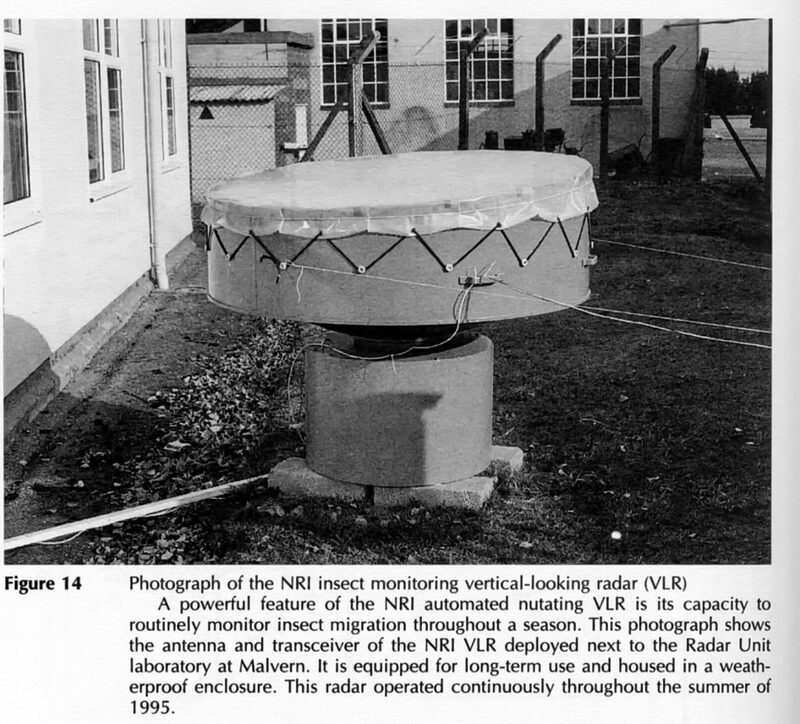 The UK Overseas Development Administration (ODA) has since 1968 funded radar work to increase the knowledge of insect migration and the management migrant species in developing countries All this work was carried out by a small group at the Ministry of Defence Radar Research Establishment in Malvern, situated at North Site (Malvern Vale today). 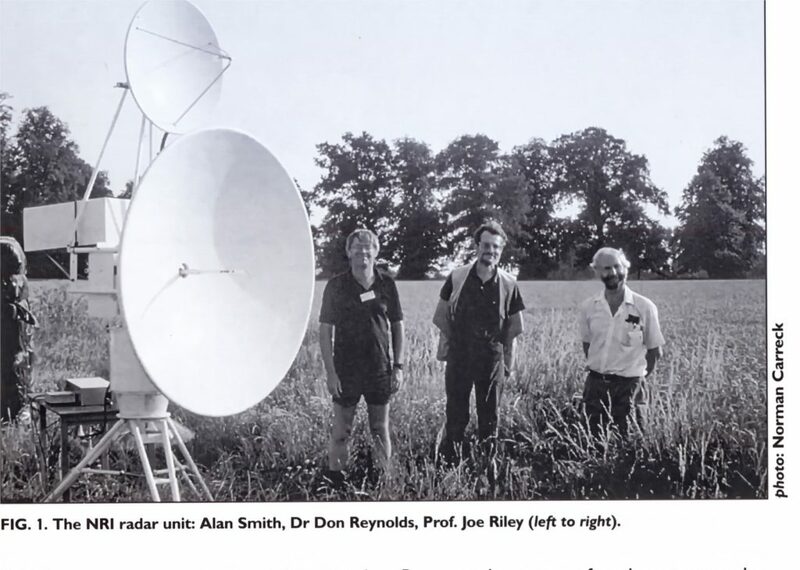 This group formed the radar entomology unit of the National Resources Institute, which was part of the University of Greenwich. The group was set up to help governments of developing countries to evolve efficient forecasting and control strategies against locusts, armyworm moths and other highly mobile insect pests. 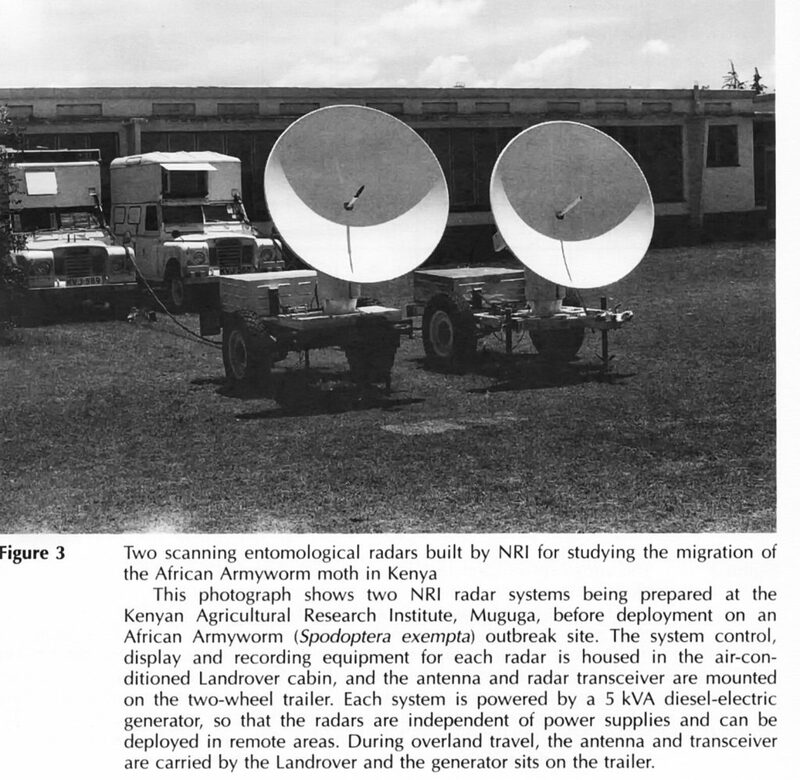 The long distance migration by these insects takes place at high altitudes and often at night so radar offered the unique and exciting prospect of making direct quantitative observation of the airborne migration of insect pests. exceeds that of any other means of observing individual insects and is adequate for studies of high altitude flight but overall they were not fully suited to entomological observations. What was needed in insect flight studies was the means of investigating of what was happening at a range of different altitudes. 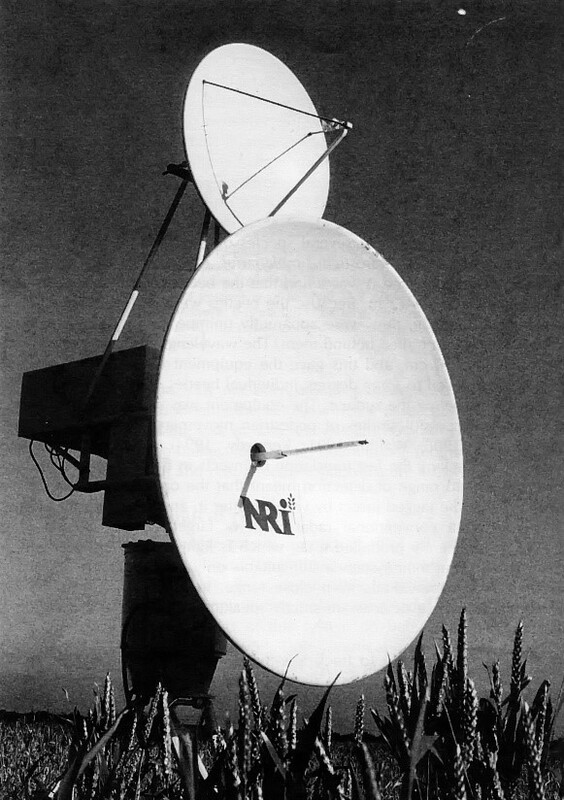 It had been shown in previous work that replacing the marine aerial with a tiltable parabolic dish and fitting a rotating mount producing a narrow conical beam which could be adjusted in elevation and scanned in azimuth at 20 rpm. 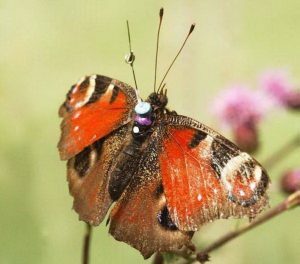 There was a major problem in radar tracking of insects flying near the ground because of the strong reflections from the ground producing clutter, which swamps the very small signal reflected from an insect. 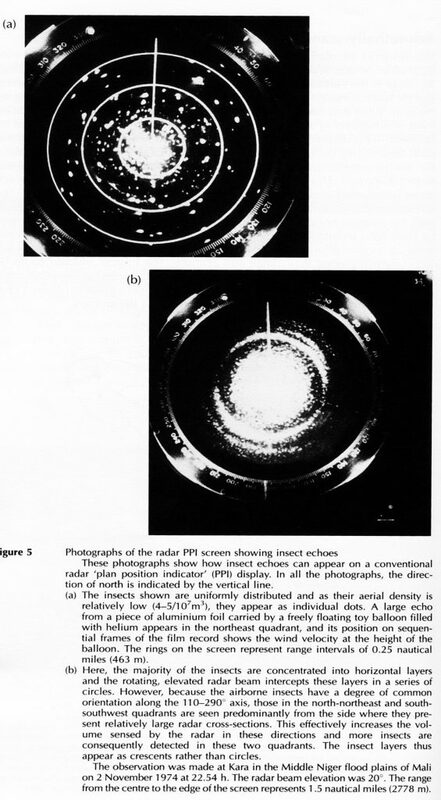 The concept of attaching an electronic device to the insect which would adsorb energy from a radar transmission and re-transmit it at a harmonic of the transmitted signal. A separate receiver tuned to the harmonic frequency would then be able to reject the clutter, which would be at the transmitted frequency. The advantage of a particular type of electronic device or transponder is that it need no battery and can potentially be made very small and light weight. The concept had been around for some time but all practical applications had not been successful. The need to track low flying insects, such as the tsetse fly, was highlighted by Dr Glyn Vale who advocated the use of radar for this task. 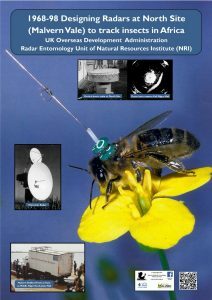 A feasibility study led by NRI concluded that it would be possible to produce a harmonic radar and a device small enough to be attached to a bumble bee. 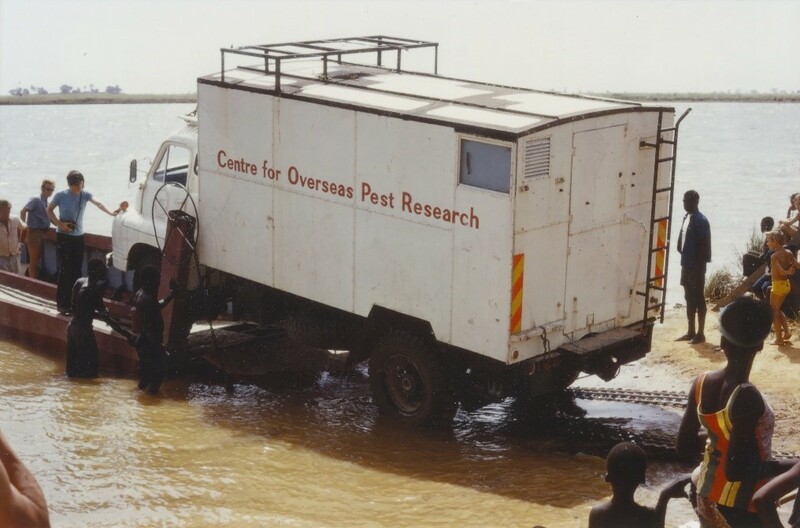 A prototype was built, supported by the ODA and the EEC Regional Tsetse and Trypanosomiasis control programme based in Zimbabwe. The NRI group worked closely with Malvern scientists on the main site and industry to produce a transponder tag with a Schottky diode mounted centrally on a whisker of springy wire weighting 3 mg and mounted vertically on the thorax of the bee. This together with the azimuthally scanning harmonic radar was the first of its kind in the world to track bumble and honey bees. Later it was also used to track the movement of butterflies and moths. A new ultra lightweight transponder (<1 mg) was later developed that allowed the tracking of tsetse flies. The NRI Malvern group had to operate in remote and inaccessible areas of the world, unlike its counterparts in the USA and Australia. They had to handle the logistics of packing and shipping the vehicles and equipment and to obtain permission to use the system by negotiating with overseas authorities, who often regarded the whole enterprise with suspicion. There was a need to be entirely self sufficient in repair facilities and spare parts for the radar and test equipment. It the whole of over twenty years of operating overseas, often with prototype equipment and in harsh environments, they never had to cancel or abandon an observational programme as a result of a technical failure.